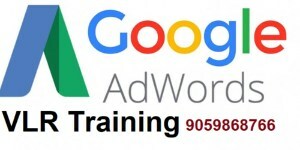 Google AdWords Training Videos provided by VLR training by real-time industry experts. Google Ads is a web advertising platform developed by Google. Google Adwords is also known as Google Ads it is a Google’s online advertising program. Through this Google Ads program, you can create online ads to reach the people exactly when they’re interested in the products and services that you offer. • Google Ads is an advertising platform provided by Google this is very helpful to promote your Business, branding awareness as well as increase traffic to your website. • Google Ads accounts are control online anywhere, so you can create and modify your ad campaign at any time anywhere, including your ad text, settings, and budget. • your comfortable budget, and easily estimate the impact of your ad. • Faster Result Than SEO. • Outrank Your Competitor Ads. • Test, Test and Let The Best Win. • Remarket audience with best deals. • Influence The Audience To Make The Purchase. • Increase Ad visibility to the High-quality audience. • Schedule the Ads to reach an audience at The Right Time. • Create Campaign Strategies Based On the Demographics.